Selling a home will probably be one of the most important transactions in your life or your family’s life …second only to purchasing it in the first place! At Smyth we understand there is a lot more to selling a home than simply advertising online. One very important piece of advice - request your title deeds from your financial institution as early as possible. The banks appear to be putting greater resources into other areas and as a result it is taking far longer for deeds to be released. Nowadays private treaty is by far the most common, but auctions are making a comeback in certain circumstances. The key difference is that at auction, the price tends to be controlled by the bidding in the room on the day of the auction, while in private sales there is also bidding, but over a longer period and from people spread far and wide. In an auction, once the reserve has been reached, the deposit (usually 10%) is paid and contracts are signed on the day. Which method you choose will be based on your own preferences and the circumstances of the sale. But your decision should also be influenced by the expert advice you receive from your agent on the condition of the market and the suitability or otherwise of your property for either an auction or a private sale. It takes years of experience to judge how best to set the asking price of a home in order to maximise the selling price obtained. Regardless of the asking price, our commitment to you is to get the very best possible price that the market will bear. Other marketing issues to be agreed will include what tools should be used in terms of online advertising, print advertising, signage, window displays and property supplements. Whatever the marketing mix chosen, local or national, it is critical that your property is marketed in a professional manner and your Smyth advisor will ensure that is the case. Smyth will assist you on how to present your home in the best possible light, including removal of some personal items, tidying up the garden or even sprucing up the property with a coat of paint. General de-cluttering presents the property as a blank canvas and can help potential buyers to see themselves living in the property. We will use our experience to ensure no stone is unturned in attracting prospective purchasers to your property. Smyth will manage the process of arranging suitable viewings, be they private viewings only or public viewings, and most importantly we will always be on site while the property is on view. We will work with you to ensure viewing times do not intrude too much in your daily life. Once the property prompts interest from potential buyers, negotiations can begin and offers will be invited. If more than one party shows an interest counter bidding may occur at this stage. 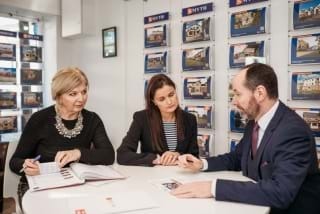 Smyth will keep you informed of all developments and continue to negotiate until we are confident that we have obtained the highest possible price for your property. Closing Once you have accepted an offer, we will seek proof of finance from the prospective purchaser. When this is confirmed the property is deemed “sale agreed” and Smyth will accept a booking deposit on your behalf and then liaise with your, and the purchaser’s, solicitor. It normally takes six to eight weeks for the legal process of title searches and finer details to be concluded and for the sale to close. Smyth will assist you for this entire process, advising and interceding where appropriate.